My 8th Grade World: Starting the Year Right! Well now that that is over...it's time to focus a little more closely on the wonderful things that are going on at Clover Middle School. I know my 8th graders are doing fabulous things in both Math and Science and I am looking forward to finally getting the chance to share those! But in the meantime...We started the year off right with my 7th grade girls basketball team today by attending the Clover High School girls J.V. and Varsity games. 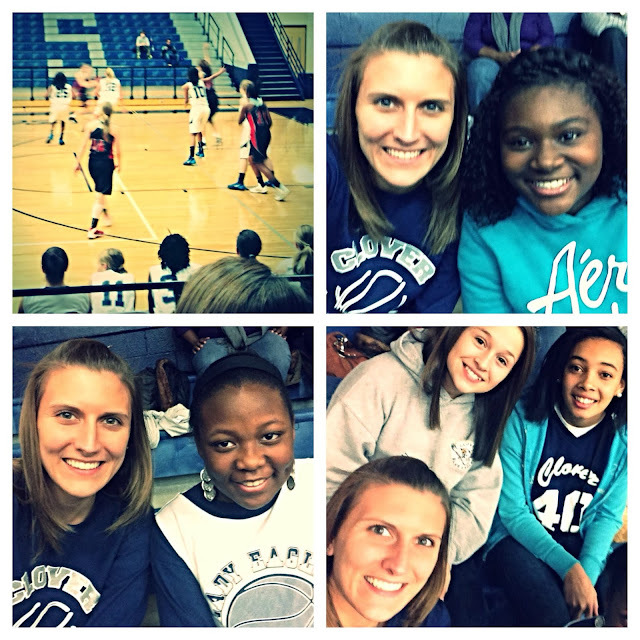 We watched the games in hopes to get some pointers and ideas about how to improve our own skills and fundamentals. We had a great time and really enjoyed rooting for the girls! 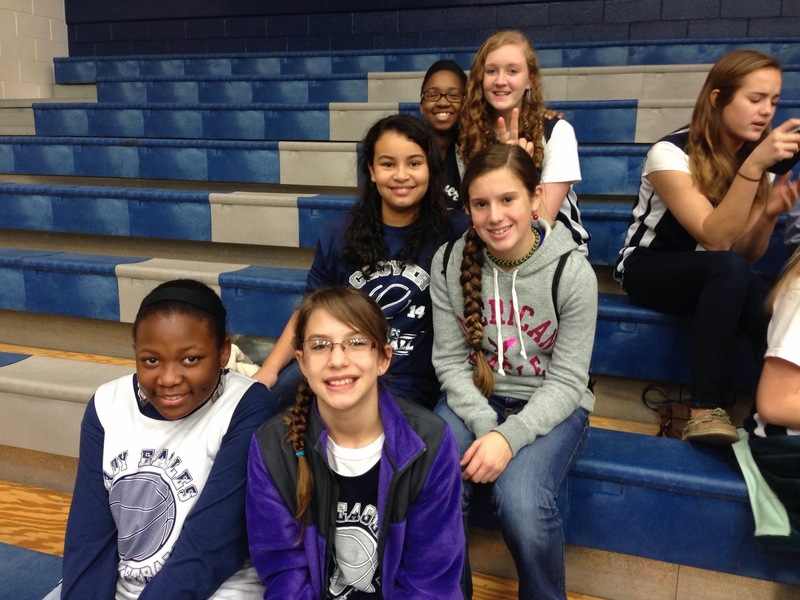 7th and 8th grade girls enjoying the games! Here's our team pictures for my lovely and wonderful 7th grade girls. I have to say I love these girls. They work hard and definitely keep my laughing through practices and games. 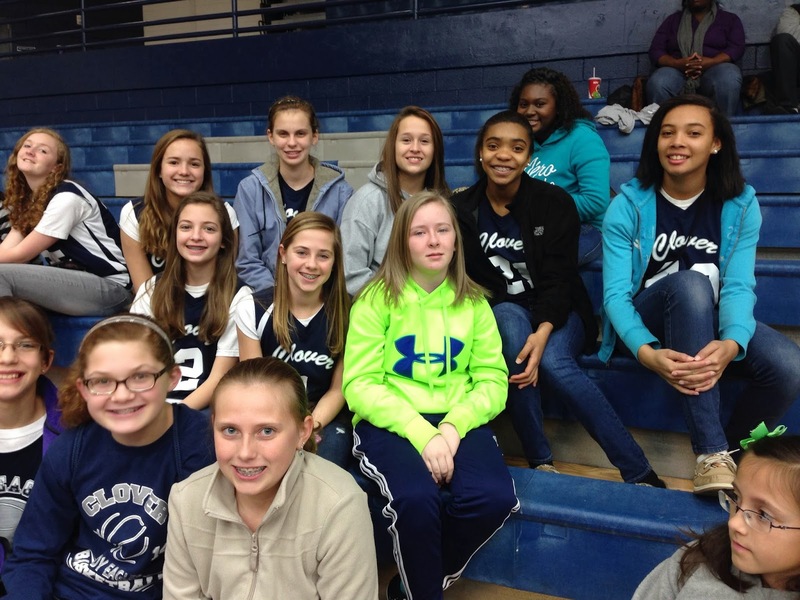 I look forward to finishing the second half of the season with them and watching them grow in basketball everyday. So of course we needed a goofy one.